When you have your denture made with us, we give you a 12 month warranty. That means, if there are any adjustments needed to the denture during the initial 12 months, they are all FREE OF CHARGE! If you aren’t completely happy with your new dentures, we’ll give you 100% of your money back! What do you have to lose? Come in today! 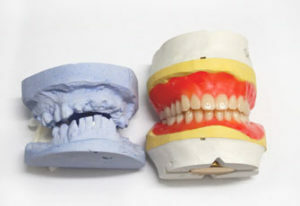 Full Dentures Brisbane, Affordable Dentures Brisbane. Full Dentures are for patients that have no natural teeth remaining. These are removable and replace all natural dentition in the upper and / or lower jaws. They are constructed by us in our on site laboratory using the highest quality materials. We encourage our patients to have a major input into their dentures, by getting to pick the colour, size and position of their teeth. 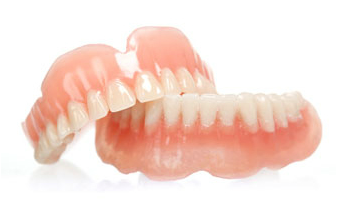 Partial Dentures Brisbane, Immediate Dentures Brisbane. Partial Dentures are for patients that have one or more missing teeth. These are removable and are supported by the natural remaining teeth and gums. They replace what is lost and preserve what is left. Immediate Dentures are used to replace teeth that are to be removed or have been removed recently. They help with the discomfort and embarrassment of missing teeth. They can be made ahead of time in our Laboratory with the co-operation of your Dentist and will be taken by you to your extraction appointment and inserted by your dentist. 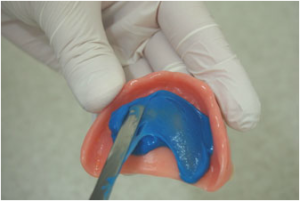 As your extraction sites will change shape due to bone structures settling and healing, further adjustment will need to be given to these dentures in the future. With time, the shape of your gums will naturally change. This can mean that with time, your denture will not fit like it should. You may notice that they feel a bit looser in your mouth or you start getting sore spots on a regular basis. A denture reline is a procedure where the gum fitting surface of the denture is replaced with a new “lining”. We recommend having this treatment done every two years. This will extend the life of your dentures and it will give you a better fit and make them more comfortable to wear. At Westside Dentistry, we understand how important your teeth are. That is why we offer 1 hour emergency repairs while you wait. Don’t put your most valuable asset in the hands of just anyone. For attention to detail and personal care, choose Westside Dentistry. 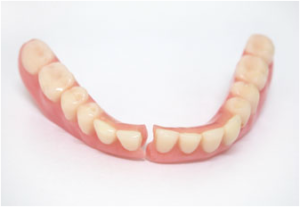 Dentures usually break for a reason, the most common one is the age of the denture. This can also mean that your denture is no longer fitting the shape of your gums and your denture is experiencing excessive force. At Westside Dentistry we offer a professional cleaning of your denture. It is imperative that you still clean your dentures at home every day, however, this cannot completely prevent staining, bacterial plaque or tartar. These threats cause your denture to become marked, build up pressure spots and cause bad breath. Without a professional clean at least twice a year, you carry a high risk of developing gingivitis and damage to healthy dentition. A professional clean at Westside Dentistry will remove these deposits and reduce risk. A clean only takes 20 minutes; a small amount of time to ensure that your denture remains strong and clean. 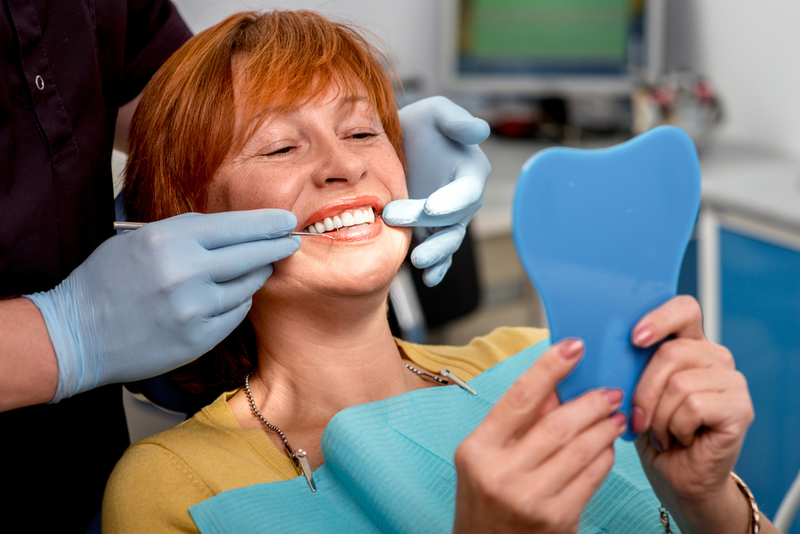 A professional clean also allows Diane to see if there are any defects to the denture, so that she can repair them before they become worse.